Description: A National Oceanic and Atmospheric Administration map of the Straits of Florida, north from Tampa and south to the Keys. This National Ocean Survey chart shows all soundings expressed in fathoms. 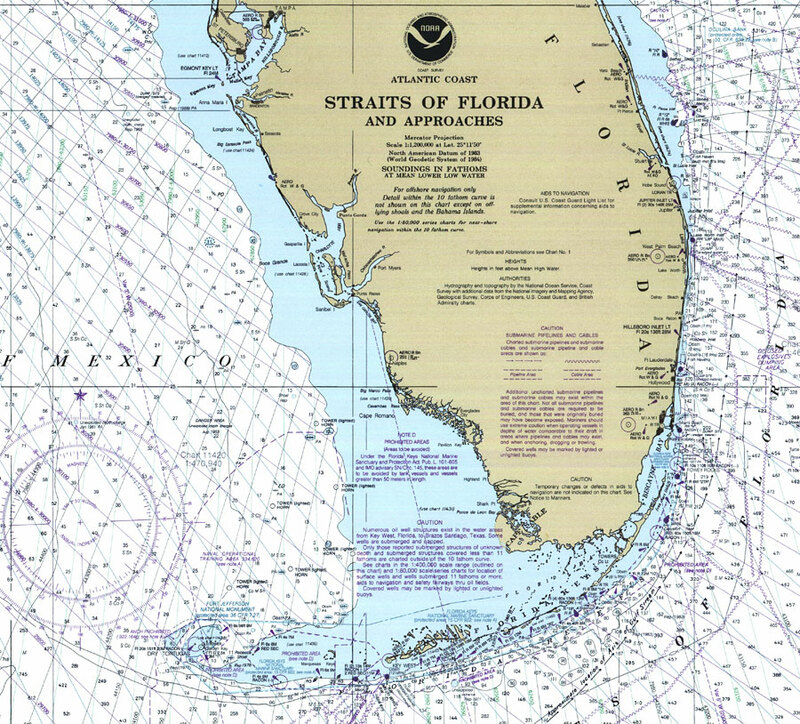 Navigational aids such as the direction and velocity of the Gulf Stream, measures of magnetic declination variances, and lighthouses as well as obstructions such as oil well structures and explosives dumping areas are shown. The map scale is 1:1,200,000. Chart is LORAN-C overprinted. N.O.A.A. map reference: 11013-4-2000. Key to NOAA maps. PLEASE NOTE: This historical data is not to be used for navigation or navigation planning. The Florida Center for Instructional Technology (FCIT) does not assume responsibility for the improper use of these data.